ATLANTA — Gov. Brian Kemp said there are about 71,000 gang members in the state of Georgia. He's trying to combat violent crimes by creating a gang task force with the Georgia Bureau of Investigation. On Monday, Kemp, along with GBI Director Vic Reynolds at his side, announced that Jaret Usher would lead the task force. "I will tell you without any hesitation she is one of, if not the top, gang prosecutor in our state," Reynolds said. In the budget, Kemp said $500,000 will be made available for the task force. "I've made my position clear when it comes to street gangs and drug cartels," Kemp said. "It is a serious issue in our state, one that we cannot afford to ignore." "Nearly every county in Georgia has reported gang activity," he said. Usher called it a crisis for the state. "Most crimes are gang-related, specifically violent crimes - the aggravated assaults, the drive-by shootings, the murders," she said. "When you look further into why these are happening and the motivation behind them and the evidence that comes out, the statistics do back up that they are gang-motivated and gang-related." Reynolds, who was sworn in as the new GBI director in February, said he's worked with Usher in the past when he served as the district attorney in Cobb County. He said street gangs are not just a problem in metro Atlanta. Together, they plan on tackling the issue by partnering with other agencies on the federal, state, and local level. The task force will start off relatively small. Reynolds said he's seen law enforcement agencies in the past "step over" gang cases. 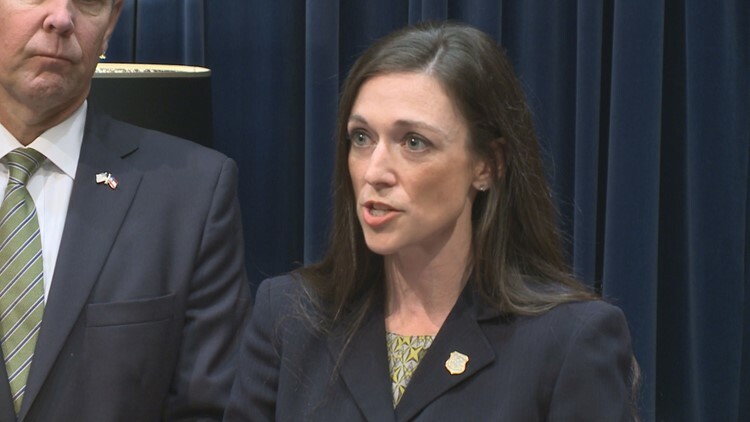 "What would happen previously - and we've even did this in Cobb for a number of years before we made a conscious decision not to do it - is that a homicide investigation would be pursued and ultimately a murder charge may be filed against an individual," Reynolds said. "However, if it was gang-motivated sometimes the gang portion would not be pursued, just simply because the homicide charge being as serious as it is." Reynolds and Usher said they've already had a couple of areas reach out to them requesting help with gang activity. They plan on making a decision about the agents that will be assigned to the task force by June 1.